Drozer, formerly known as Mercury, is a software package that you can use to assess the security of your android device. It effectively allows you to interact with Dalvik VM, other apps' IPC endpoints and the underlying OS. It also provides tools to help you use and share public exploits for Android. For remote exploits, it can generate shellcode to help you to deploy the drozer Agent as a remote administrator tool, with maximum leverage on the device. 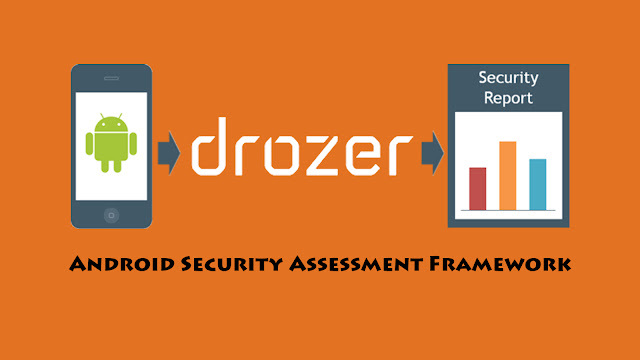 Drozer automates all the tedious and time-consuming activities, that means the time taken for Android security assessments can be substantially reduced. It also doesn't require USB debugging or other development features to be enabled. So you can perform assessments on devices in their production state to get better results. Since it provides point-and-go implementations of many public Android exploits, you can use drozer to identify vulnerable devices and understand the risk in your organisation. Note: You can also run it in Android emulators. Hello bro i want to ask u about how to unlock files from survey?